Welcome everyone! I’m sharing a card today I created using supplies from Pink & Main. 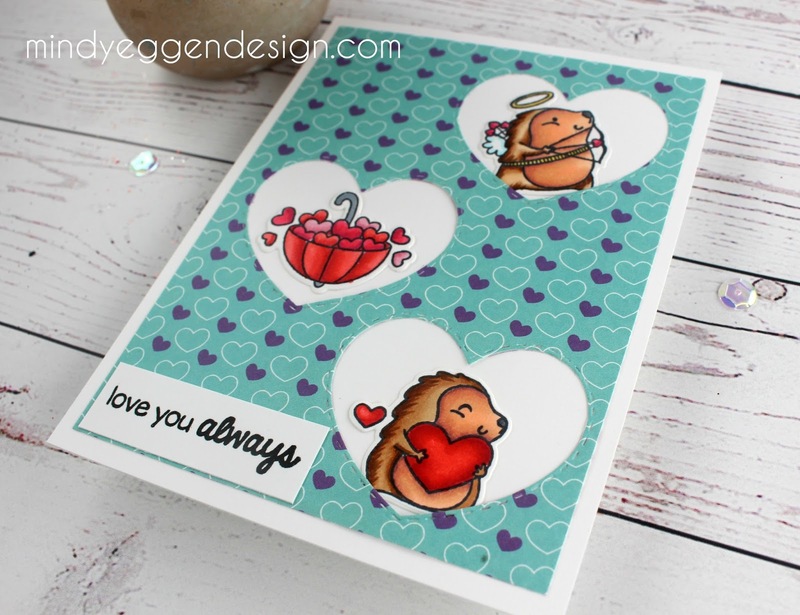 I started by stamping a few images from the Hedgehugs set onto Neenah White cardstock with Memento Tuxedo Black Ink. Then colored with my copics markers and cut out with the coordinating die set. Next, I took a piece of patterned paper from the My Heart paper pack and cut it down to 4″ x 5 1/4″. 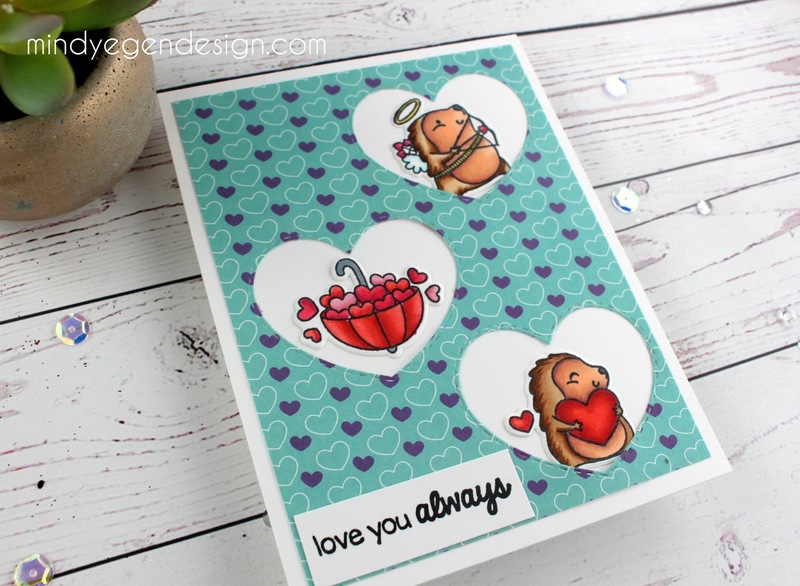 Then I cut out a few hearts to create windows on my card. I then attached this to a piece of 4 1/4″ x 5 1/2″ white cardstock base. I tucked my colored images into the windows. This would also be great to use and create a shaker card with! My final touch was adding the sentiment onto the bottom of the card. I hope you enjoyed today’s card. 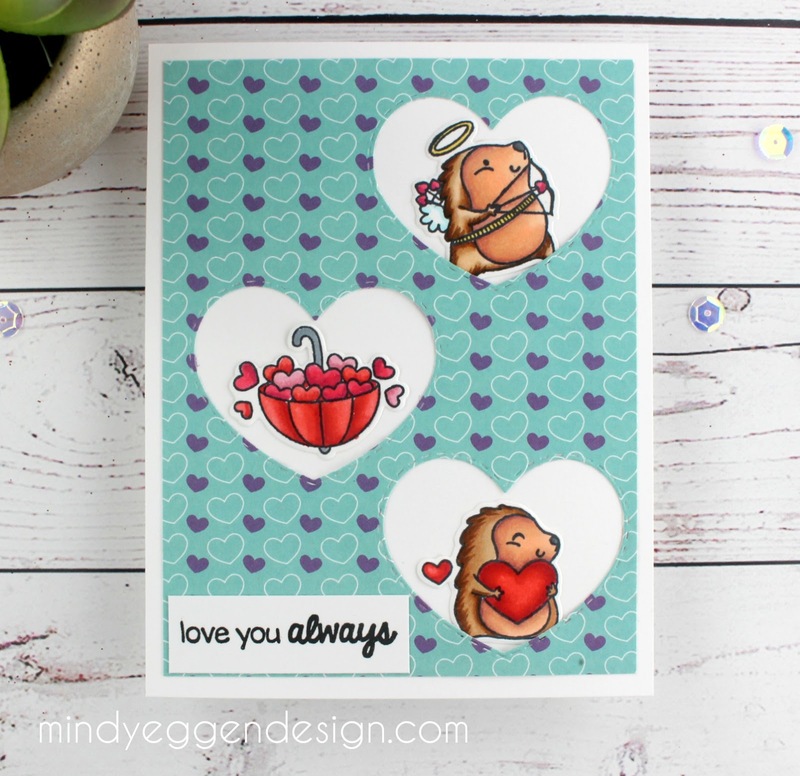 Be sure to head over and pick up these adorable hedgehogs!! 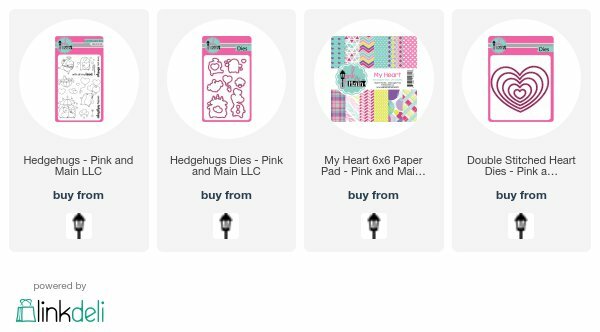 Supplies listed below.